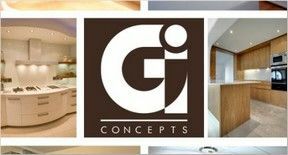 Gardner Interior Concepts is the home of inspired, professional and dynamic interior designers, shopfitters and construction contractors, and has been providing creative, reliable, and professional services since 1969. We strive to be a one-stop shop offering a full-service starting with designs to manufacture of products such as bedrooms or kitchens, as well as architectural and construction solutions for residential and commercial projects. Our company is trusted for adding value and enhancing interiors of homes, businesses, offices, hotels, retail stores, apartments, showrooms, museums, heritage sites and amenities, both locally and internationally. A whole range of custom joinery manufactured products, interior design and renovation services included. 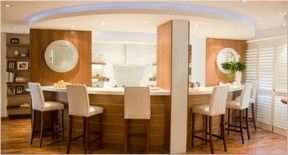 As Cape Town’s premier interior design company for over 45 years, we offer high-quality solutions for commercial and residential carpentry, joinery, cabinetry and shop fitting, including kitchens, bedrooms, bathrooms, vanities, dressing rooms, furniture, bars, studies, businesses and offices. The kitchen is the heart of your home. Our state-of-the-art technology helps you to visualize your best options for a practical, efficient and function-rich custom-built kitchen design. All our kitchens are designed and built uniquely. View our portfolios, projects, or galleries for more, or contact us now. Your bathroom is your private space to relax and rejuvenate. 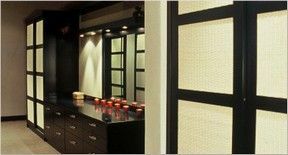 Our custom design bathrooms reflect your style. Add that special touch with our exquisite custom-built vanities, cabinets, decor and a wide range of lights, fittings and elegant accessories. Contact us today. Transform any interior space into an inspiring place, with our unique, custom solutions for your bar, study, walk-in dressing room and entertainment area. Our end-to-end solutions for construction, renovations and restorations includes requirements such as furniture, cupboards, wardrobes, cabinets, shelving, closets, servers, tables, chairs, doors and stairs. Your furniture reflects who you are and enhances your home, business and property. Our traditional, contemporary, classic and elegant solutions will meet your needs. We also manufacture custom furniture items to your specifications. For quality and style to inspire and delight, make the right choice. View our portfolio or promotions pages and contact us now. We are a one-stop custom joinery, carpentry and cabinetry shop for all your commercial projects. 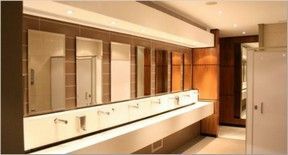 We deliver, remodelling, refurbishing, restoration, renovation and property maintenance services, and also offer to manage the from start to end. Shopfitting (fit outs) and office interior Design are our specialty services in Cape Town. Contact us today. We offer a no-obligation quotes on all our services and offerings. Clients can expect a superior experience, whether turnkey or bespoke. Our customized solutions are designed and crafted to meet your needs and suit your budget. Our solutions will help you optimize resources, whatever your requirements. The gentlemen you have working for you are some of the best that have worked for us. You should be proud of the team you have. Thanks once again. PS / We will pass along the good work completed by your company every chance we get. I missed the actual installation but it looks fantastic. So many thanks for the great job to you and your staff. Your guys did a great job, I’m happy with my installation. Thanks. This is just a note to praise you on building solid kitchen units. We moved into our house in 2001. The units still had some of your ‘Gardner Brothers’ stickers on it for a customer ‘Miller’. These unit must have been installed prior to 1996. Once again thank you for building solid kitchen units. Hi Patrick. Thank you for the beautiful bedside tables! They came out so nicely. And thank you for a great team attending to all the snags and challenges. Hi Patrick – Re: Artscape Project. I saw the installation at the Artscape and was really impressed, it looks stunning! The workmanship was really top notch and for a first time NeoLITH installation, your guys really did a great job. Steve and Pat – Re: Office Design. I want to use this moment to personally thank you and your team for delivering such an exceptional product. You delivered above all expectations. Thanks guys, much appreciated!!! Our Project Achievements include homes, offices, hotels, shops, businesses, auditoriums, apartments, museums, developments, amenities and showrooms. Join our family today and live the difference. Why choose us for your Interior Design Project? ideas are elegant, innovative and inspiring. Our after-sales service is consistent and second to none. Visit our projects, portfolios, achievements, services, products, media and testimonial pages to learn more. One call does it all… Once you’ve accepted our itemized quote, we immediately assign a dedicated project manager as your single point of contact. Your project manager takes care of all further communication; manages external suppliers for services, certifications, approvals and authorizations; directs the sourcing, procurement and manufacturing of all your required accessories, lighting, furniture, art, decor and fittings, and keeps your project on track. An extensive network of suppliers, as well as our in-house contractors ensure that we deliver exactly to your requirements – on spec, on budget, and on time. Our services are convenient, cost-effective and comprehensive – underpinned by professional project management and dedicated customer support. For a hassle-free service solution for anything from a kitchen design to a custom-made furniture piece, look no further!